John "Jack" Pierce is chair of the Real Estate Practice. He represents owners of major office building portfolios in the acquisition, disposition and financing of office buildings, as well as in workout, leasing and other operational aspects, in a number of major metropolitan markets. He has significant experience in the condominium and planned community areas, both in the creation of such regimes (for example, an office park condo) and in the conversion of existing facilities to such regimes (for example, the conversion of a former community hospital into a condominium consisting of multiple commercial and residential units). Jack represents a large port authority for which he has handled a wide range of port matters. Energy infrastructure projects, such as gas-fired peaking plants and gas pipeline expansions, are a growing area of concentration for Jack. Throughout his career, Jack has represented shopping center landlords and major and in-line retailers in development and leasing matters. 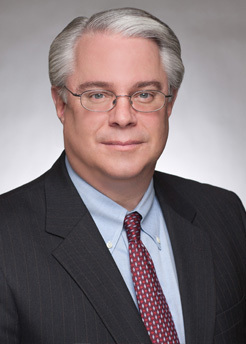 More recently, his practice has focused on major retail bankruptcy matters and the representation of a small retail chain with locations throughout the Mid-Atlantic region. As counsel to a major developer and operator of assisted living facilities, Jack handles the acquisition of existing assisted living facilities, as well as the development of new ones, throughout the Mid-Atlantic region. These and other examples of sophisticated multi-property, multi-state dispositions, acquisitions, and financings, beginning in the 1980s with the representation of a New York-based syndicator acquiring hundreds of Wal-Mart properties throughout the South and Midwest regions, have long been the core of Jack's real estate practice.